Greetings on the auspicious occasion of Akshaya Tritiya – The third (thritiya tithi) day of the waxing lunar phase in the Hindu month of Vaishakh that promises to keep fortunes or positive endeavours made this day on an eternal growth path. It is a very auspicious day for new beginnings. While there is much hype created around the day for buying gold and other assets, the day is generally a good one to start new initiatives. It is a day when Dharmaraj Yudhishthira, the eldest Pandava got the Akshaya Patra from Surya. Upon being exiled to the forest, Yudhishthira would face utter dejection sometimes as he would find himself unable to feed the people with him as well as the holy men, sages who would come by. 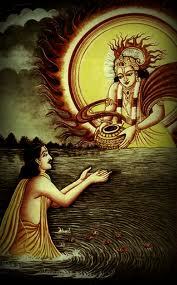 He performed some austerities that pleased Surya who blessed him and gave him the akshaya patra on akshaya tritiya – a vessel that would provide unlimited food in the day. This would enable him to look after his people. There are many more tales and beliefs that are well known about this day. 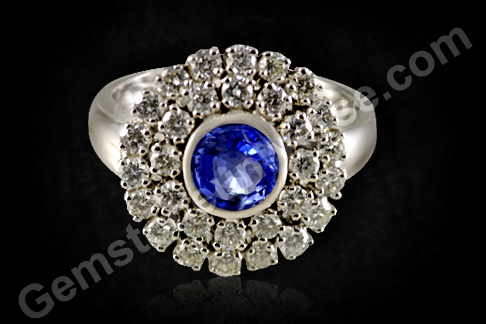 In Vedic astrology, all gemstones can be instrumental in bringing good fortune. However, Jupiter or Brihaspati is regarded as the harbinger of good fortune and thus his gem, the yellow sapphire is highly valued. Featured today is a premium yellow sapphire – a fully natural treatment free and unheated yellow sapphire from Ceylon of 2.65 carats set in 22 Karat gold as a Jupiter talisman ring. 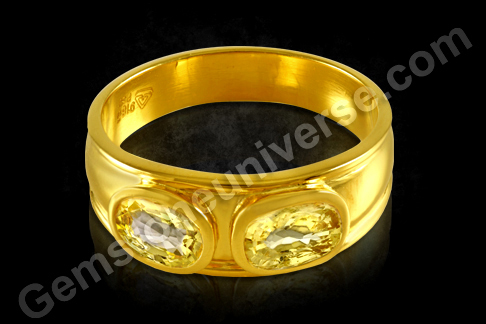 The oval cut yellow sapphire has fantastic clarity and a luscious golden butter yellow color.Natural yellow sapphire also known as pukhraj/ pushyaraag is the gemstone of planet Jupiter/ Guru/ Brihaspati in Vedic astrology. The yellow sapphire is always set in the precious metal yellow gold befitting Brihaspati’s status as the mentor of the gods, the royal priest! Featured today is a splendid two gem pendant that scores high on beauty and luxe appeal as well as positive result oriented planetary gem therapy. Here is a beautiful fully natural and treatment free Zambian emerald of classic emerald green color. The oval cut gem with rich color and great clarity is 2.31 carats in weight. 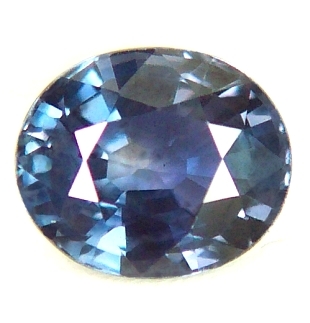 The other gem is natural jyotish quality round brilliant cut diamond of 0.26 cents/ points. The gems have been set in 22 karat gold. Natural emerald is known heal the physical health of the wearer first, bringing about a mental transformation as a result. 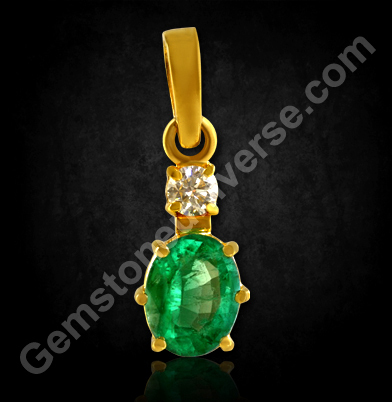 It is believed that emerald is able to help in de-addiction and release from substance abuse. 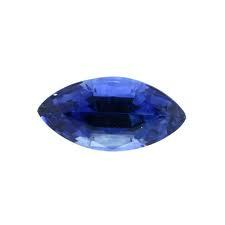 The energy channelised through the gem helps increase the vibratory rate of the body and thus facilitates healing. Natural emerald or panna, also known as zammrud is the gemstone of planet Mercury or Budh and is used to harness its energies. 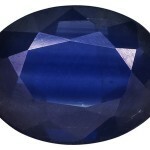 It is the best planetary gem for an individual with Gemini or Virgo ascendant. Natural diamond or vajramani is the gemstone of the planet Venus or Shukra and can bring benefits in all areas related to beauty, luxury, wealth etc. Creative ideas can resolve any conundrum in the world. As they say, where there is a will there is a way. Gem therapy need not be restricted by the unavailability or inability to afford a specific natural gemstone. 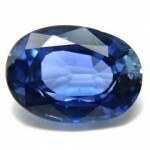 In the world of natural gemstones, prices increase exponentially with increase in size. 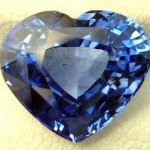 And this is especially true for gems above two carats. As the weight increases, so does the price for every decimal point! 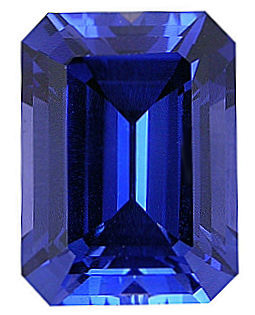 And if you are looking at jyotish gems that are at the apex of gem pyramid, the finesse and parameters of cut, color and clarity will increase the value to incredible levels! It’s a seller market. 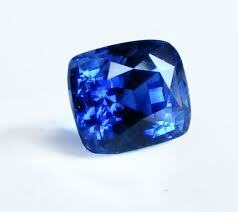 So in such a scenario, if you are looking at gem therapy with over 3.5-4 carats, there is a creative solution out. A patron looking to do just that picked up two excellent jyotish quality natural yellow sapphires of 1.74 carats and 1.98 carats and set them in a single talisman which you can see in the photo as well as the video. 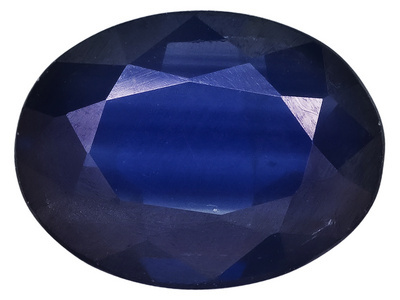 Successful planetary gem therapy is singularly contingent upon correct recommendation as well as picking the right tool (read jyotish quality gemstones) to implement the same. Two separate gems of lesser weight will definitely cost lesser compared to a single heavyweight gem. 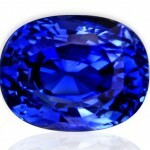 So you can stagger your gem therapy and do it affordably as well. Featured today are natural unheated yellow sapphires from Srilanka weighing 1.74 and 1.98 carats set in 22-carat gold as a Jupiter talisman ring. 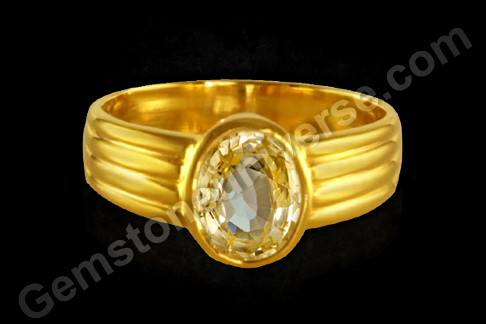 Both gems add up to nearly 4 carats of weight and are rich butter yellow in color. 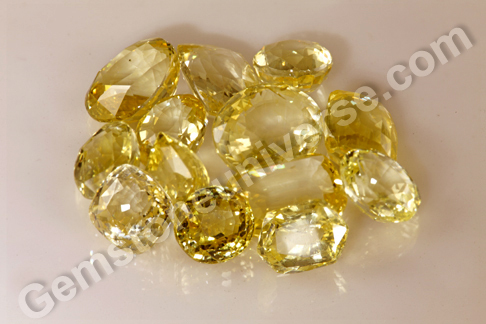 Natural Yellow sapphire or pukhraj is the gemstone of Planet Jupiter / Brihaspati and is used to harness its benevolent energies. 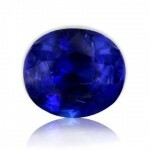 Sapphires are intense. 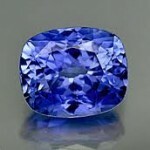 Sapphires are alluring. The gems have a befitting name, conveying just the right amount of mysticism along with the intrinsic esoteric powers or the subtle fire they carry in their belly! 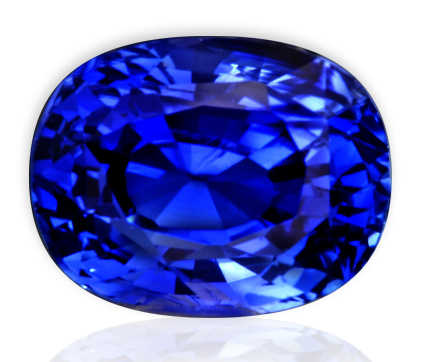 Gemstoneuniverse presents four new lots of sapphires – the luscious, rich, powerful gemstones that can redirect the course of your life, give you the optimum lift and bring you in sync with the universal wavelength helping you optimise your life. 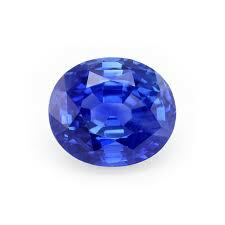 The perfect vehicle for getting set on your journey of planetary gem therapy! These are all natural Jyotish gems – the very best, with a varied range, opening the possibility of progress for everyone. 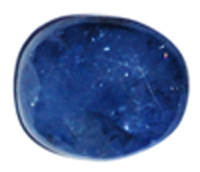 Planetary gem therapy is most successful when the right tools are picked up… Namely the Jyotish quality gemstones those are free from flaws. 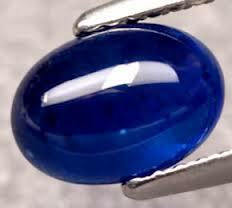 Sacred texts list flaws, those if present in the most beautiful natural gemstone can bring more harm than good. 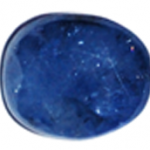 Therefore it only makes sense to pick up follow through a good Jyotish recommendation with correct gemstones for best results. Sources of Origin: We wish it was so simple to put gems into exclusive brackets with the shove of a glance. 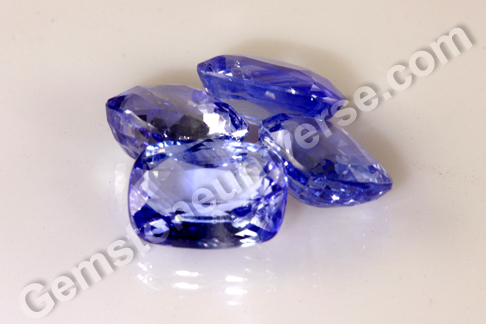 However, we have tried best to list a characteristic picture of gems from the main sources. 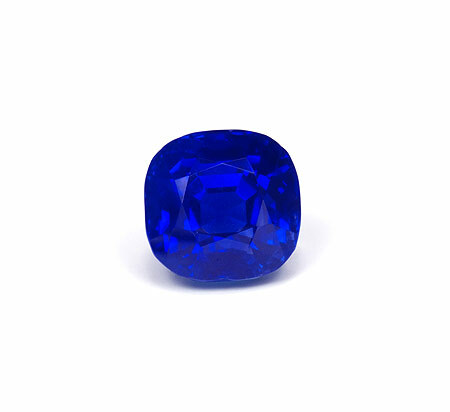 This is also on of the reasons why we emphasize on why you should seek out unheated and untreated Blue sapphires. Treatments mask the natural flaws and characteristics of gems and can alter their appearance to unbelievable levels. Ovals and Cushions are the most popular cuts in Blue sapphires. As the complexity and fanciness quotient of the gem cut increases, so does the price but geometrically. A fancy cut requires sacrificing on the weight (quite a bit of caratage is lost to the shape and therefore the escalated cost)! 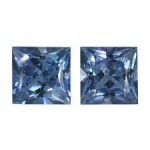 Among the oval and cushions too, a cushion cut gem fetches a better price than an oval. 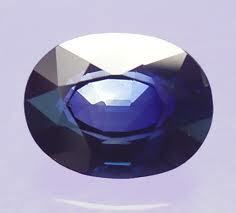 The cut impacts the brilliance of the gem in the biggest manner. 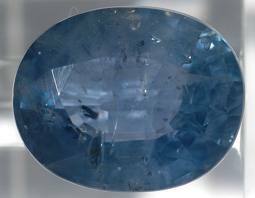 Master cutting of gem ensures best play of light in a gem. 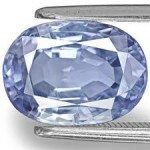 If the cutter errs on cutting, especially vis-à-vis the critical angle the light will leak away and neither the brilliance, nor the color of the gem is optimally displayed. The above image serves as a rough parameter for gauging the vast range of color of blue sapphires. Among those too, the saturation/ intensity of color will vary and so will the hues. 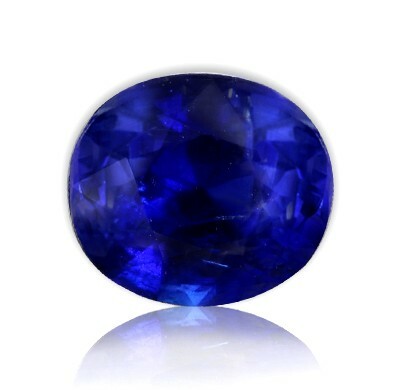 Dark blue midnight tones, to rich velvety silks, to soft medium tones, to clear waters like a pristine soul – such is the vast variation in the availability of the blue sapphires. 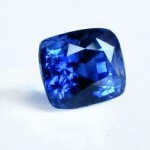 In trade terms, pricing of colored gemstone will be heavily influenced by hue, tone and saturation of color. The rich the color, higher the price. 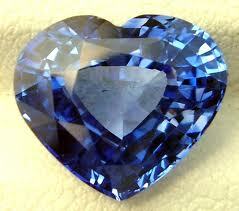 The crystalline features of the gem and presence/ absence of pits, feathers, needles, silk, twinning etc. 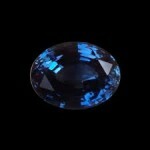 determine the brilliance, transparency and appearance of the gem. 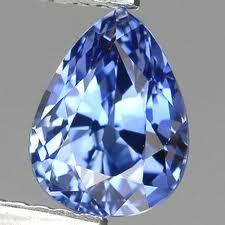 Lesser the number of clarity characteristics in your natural gem, the higher priced it will be. Planetary gem therapy works on the principle of Passage of light, barring in the case of organic gems like pearl and coral. 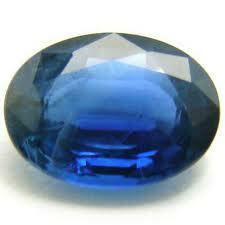 If your gem is poor quality/ opaque placebo, it is practically useless for jyotish purposes. You could well hang a kettlebell in your neck if you go by the prescribed weights doing rounds in market. It is always better to wear a jyotish quality gemstone rather than a STONE which will not be able to deliver any results at all. The less said the better. The pictures speak a lot for themselves. Now here’s a stellar ring! 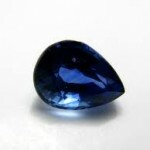 A wonderful gem – a fully natural and unheated blue sapphire from the gem mines of Srilanka. 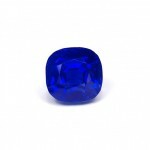 At 3.01carats, its the perfect gem for planetary gem therapy with rich silky cornflower blue color and amazing clarity. It’s a marvellous piece with all the traits of a top notch blue sapphire rolled into one. 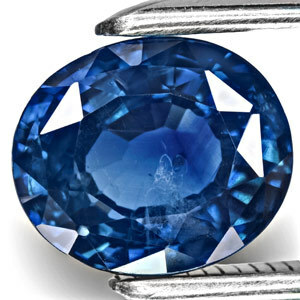 This magnificent one-of-a-kind round cut blue sapphire has been set in white gold, with a double halo of natural diamonds weighing more than 1.5 carats in total. Natural blue sapphire or neelam gemstone is the gem of Lord Saturn and is used in a talisman to harness the energies of this planet. Individuals with Makar lagna and Kumbh lagna can wear the blue sapphire. Featured today is a premium natural and treatment free Colombian emerald. The enchanting little nugget has been set in an ornate 22-karat gold ring. 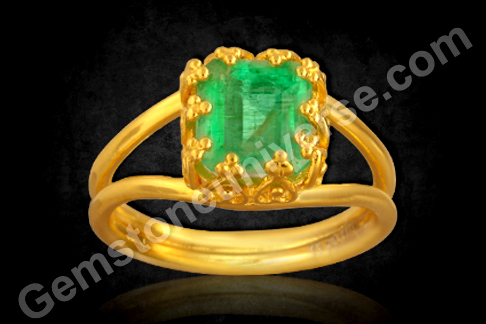 The Colombian emerald gold ring is quite a delight at 1.33 carats with rich summer grass green color. For an emerald, this cushion cut gem has superb clarity and has the soft glow of crystal inside the gem that adds to its charm. Natural emerald or panna is the gemstone of Mercury and is used to harness the energies of this amazing planet. There was a time when pearls were the measure of riches. The metaphors and idioms in language were crafted using pearls as a benchmark of luxury. They were adored, preferred, gifted, loved, revered, coveted and collected. Persian Gulf pearls have been legendary and still continue to lure the collectors! The name of Basra is enough to evoke an interest! The scenario changed dramatically after the Mikimoto pearls hit the markets and it fuelled a revolution of sorts. With cultured pearls and their affordability making it easier for the average individual to own a good pearl and even strings of pearls. As the years went by, the development in the gulf countries as well as exploration for oil pushed back pearl diving industry and the ecosystem for the oysters changed. And the ‘Basra pearl’ has become only rarer since! Natural Pearl also known as moti or mukta is the gemstone of planet Moon and is used in a talisman to harness its benevolent energies. Gemstoneuniverse brings to you a new lot of certified and genuine, fully natural Basra pearls – Chandni 2013. 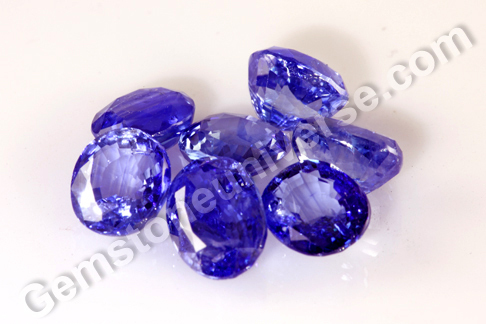 These gems of organic origin have luscious translucence and lustre. 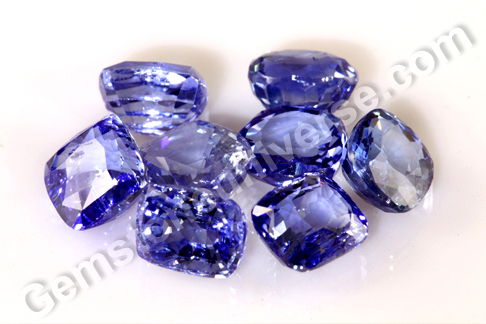 These gems have splendid energy and promise to deliver the best in terms of value as well as results in planetary gem therapy. These are premium and rare goods so get your soonest possible! They come with certification from state-of-the-art gem testing lab from the Kingdom of Bahrain, the actually patronises the trade of ‘natural’ pearls! 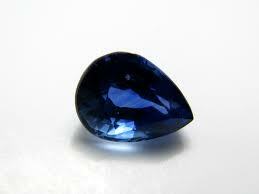 Get started on your planetary gem therapy journey with Chandni 2013. 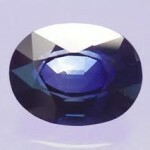 The most precious member of the quartz family is the amethyst. 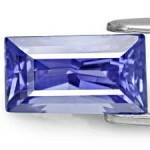 The word amethyst is derived from the Greek word amethystos that literally translates into “Not Drunk”. 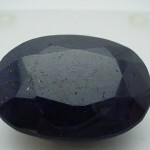 All over the world as well in India it has been believed through the ages that the Amethyst is a strong antidote against intoxication and alcohol addiction. 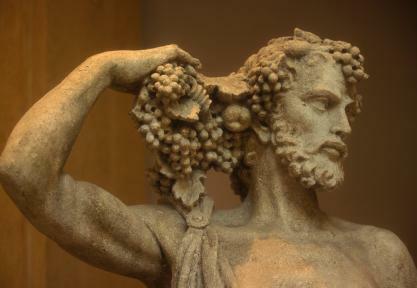 Legend has it that Dionysius, The Greek God of wine was one insulted by a Human being. He swore that he would curse the next mortal who would cross his path. Tigers would be let lose on that human being. It so happened that a young lady by the name of Amethyst happened to be that human being on her way of making a pilgrimage to Goddess Diana. 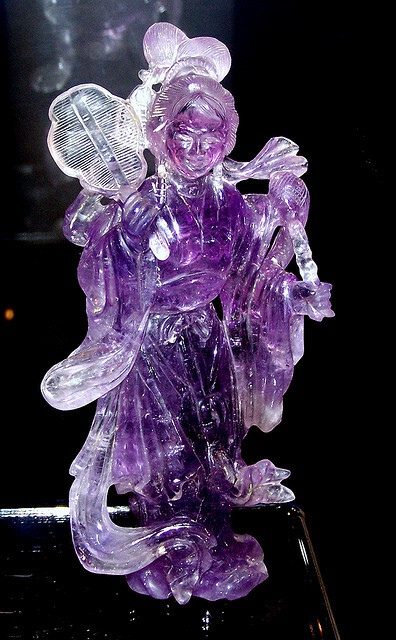 Diana transformed Amethyst into a figurine made of pure crystal quartz so that she may be protected from the claws of the tiger. Dionysius wept tears of wine at seeing this beautiful statute and his tears stained the quartz crustal creating this famous gem. Amethyst has a respect worldwide as a powerful healing crystal and as a gemstone to break negative life patterns. 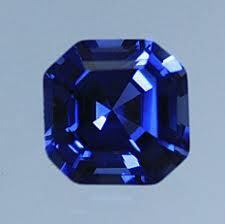 Generally considered as a February Birthstone its most famous use is to overcome alcohol addiction. It is a very good crystal for detoxifying the body and ancient Chinese medicine recommends using this crystal for stomach pains and back ailments. It helps in sharpening the memory and also increases love between two lovers. 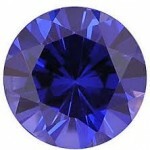 It is a spiritual gemstone that awakens the Chakras-Energy centres of the body. 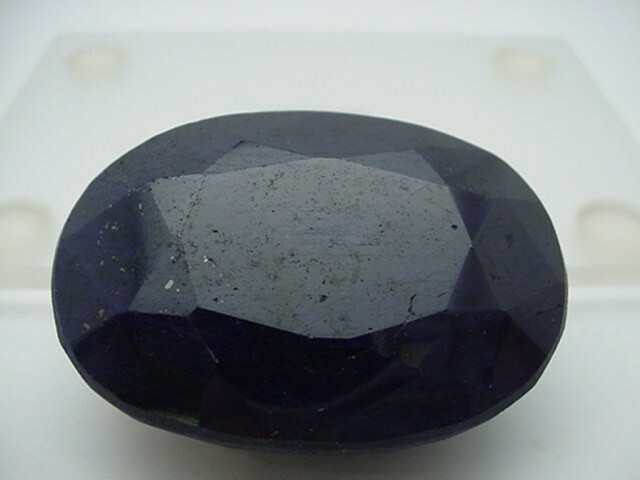 To produce Amethysts of different color other than the purple/ violet and mauve shades Amethysts are heated at a temperature of 878-1382 degrees F (470-750 degrees C) resulting in colorless, light green, light yellow and reddish brown varieties of Amethysts. 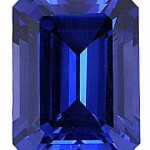 Featured today is a talisman that is regal and royal. 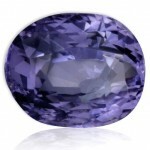 Brilliant Amethyst Oval crystal with the most desired Siberian Deep Purple color exhibiting flashes of Red and blue. 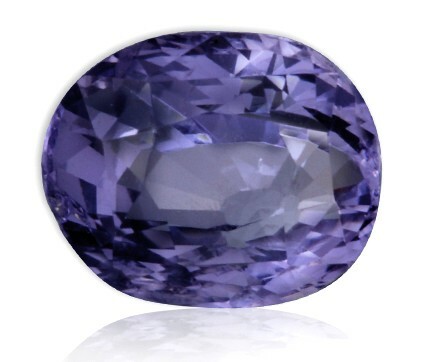 Scintillatingly cut for maximum play of light this exquisite Amethyst is the epitome of Jyotish Quality Gemstones. Set in Gold the symphony is gorgeous, striking and making a statement. 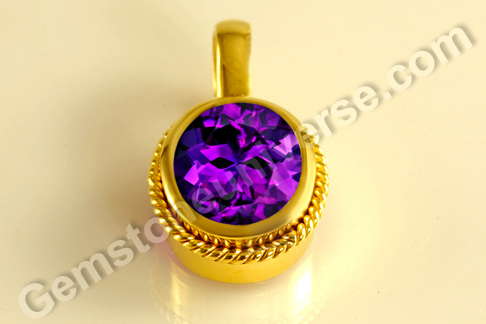 Lord Saturn shall surely bless its wearer with abundance.Note: The above links generally exist on the website for a period of 40 days after which they are periodically deleted to make way for new gemstones and to enable faster browsing. Divya 2013. This new parcel of natural, treatment free hessonite garnets is from the gem mines of Srilanka. Hessonite garnet is one of the most beautiful gems from the family of garnets and is a grossular garnet – the name coming from the gooseberry like crystal packets that occur in nature. 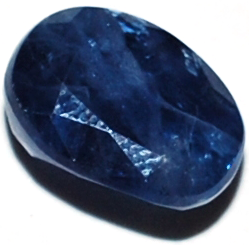 Each gem from the parcel Divya 2013 displays the roiled, heat wave effect that natural hessonites must have. 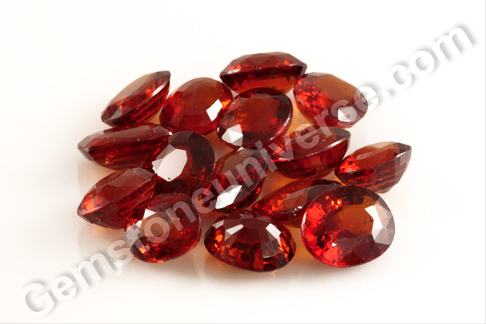 The gems have superb rich burnt cinnamon orange color and a splendid lustre. 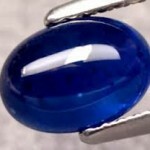 The clarity of the gems is excellent too and the appearance is akin to fiery embers glowing within. 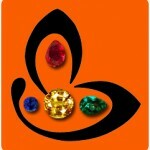 Hessonite garnet or gomedh/ gomedhaka or cinnamon stone is the gemstone of planet Rahu or the North Node of the Moon. 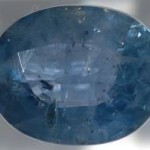 This gem is worn to pacify the energy of this karmic planet during its period or for specific planetary positions in an individual’s birth chart. The pearl divers have termed its touch as ‘cold flame’ for as long as pearling has existed. It is also regarded as a traditional method of telling a real pearl from a fake one – the touch test. However, with the advent of cultured pearls, telling cultured pearl from a fake one is extremely difficult and only x-ray method can establish the authenticity of a genuine pearl! 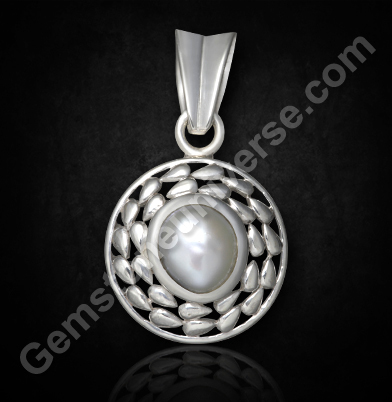 Featured today is a natural Australian pearl of 2.66 carats set in an ornate design in Sterling silver as a moon talisman pendant. 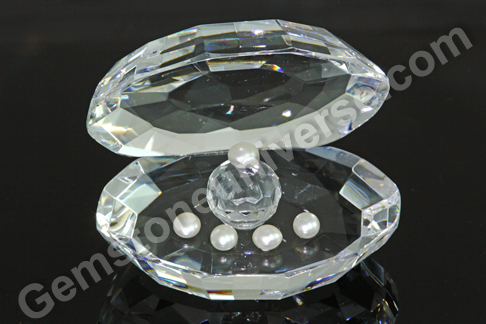 The button shaped natural pearl is a radiant white color with no overtones. The natural pearl from Australia has superb lustre and great jyotish weight to enable planetary gem therapy. Natural pearl or mukta or moti is the gemstone of Moon or Chandra and is used to harness the mellow benefic energies of this planet.